Andy's treasure hunting cafe and metal detecting blog: A trip to Skipsea castle. Skipsea castle was a motte-and-bailey castle although there is no castle there anymore as it was ordered to be destroyed in 1221. 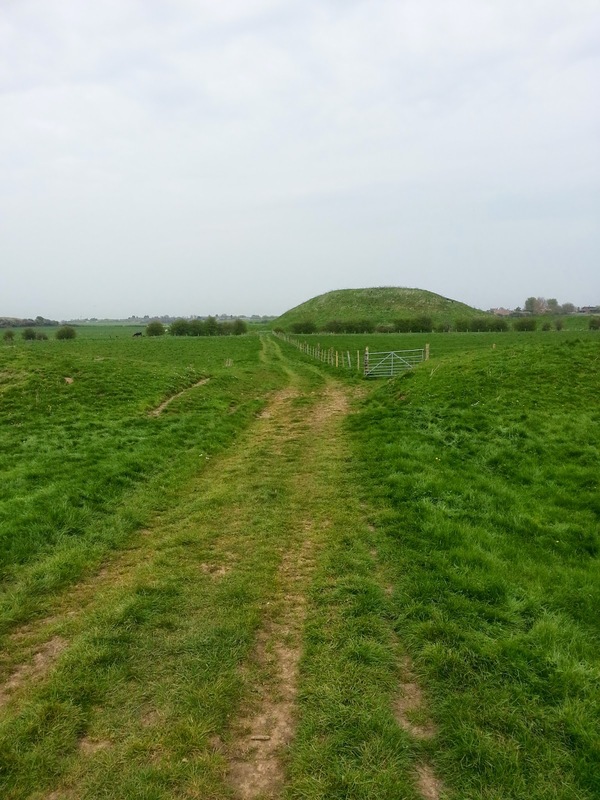 All that survives there now is the the motte and its surrounding earthworks. The castle was built in 1086 by Drogo de la Beauvriére under the orders of William the conqueror. It was built by Drogo as his own personal residence after william created the lordship of Holdrness and left Drago to manage it after Drago fought alongside him in the battle of Hastings in 1066. Closer to Skipsea centre is a lovely church which is in view from the motte. The first church was built in 1190 however it was fully rebuilt in the 14th century with additions to it in the 15th century. The church is now a grade I listed building. Walking around the area you truly feel as though you have been transported through time. Even though the castle is long gone its so easy to imagine it in all its glory. I remember having a visit to it around 20 years ago with my parents for a picnic and playing dodge the cow pat of which there are still millions today.